The Iberostar Perast hotel stands out for its avant-garde luxury décor and its prime location on the shores of the Adriatic Sea. Its Baroque architecture is a tribute to the culture and history of the idyllic location it is named after. The palace which houses the hotel was stately home of the noble Smejka family which dates back to the 18th century. It was built with stone from the Croatian island of Korčula, the same material that was used for the neighbouring Church of Saint Mark. One of the most noteworthy elements on the façade is the Smejka family coat of arms, represented by a hand holding the stem of a plant with stars. Furthermore, the entire building bears the hallmarks of traditional coastal architecture, including an arch-shaped cross that joins the two sections that form this stunning palace. 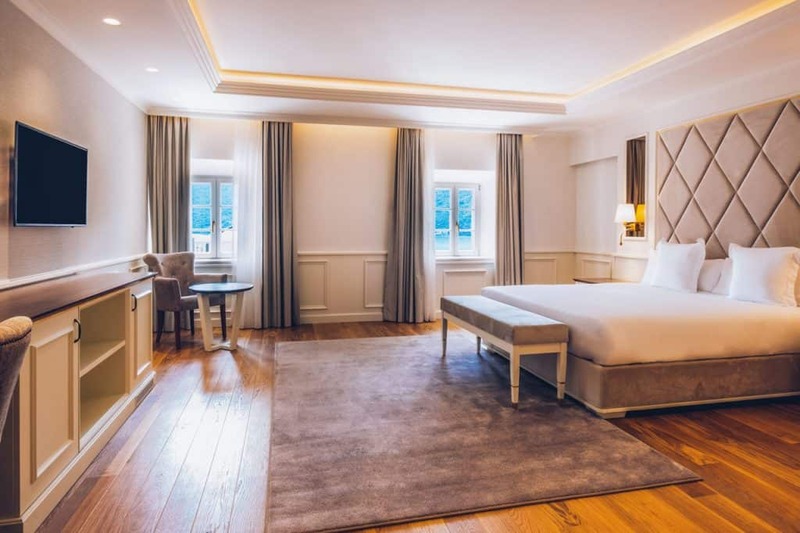 Following the renovation work, which has carefully conserved the building’s traditional style, this five-star hotel now has 107 rooms, including the Royal Suite Palace. Its charm and unique character are further enhanced by the wide range of activities and services available, guaranteeing guests’ total relaxation. 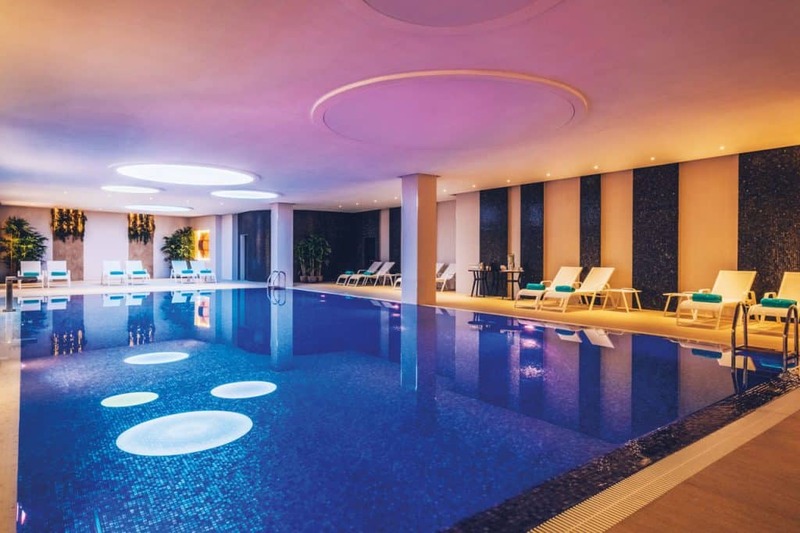 They include a spa with massage rooms, a sauna and steam room, interior spa with an indoor pool, treatment rooms, hammam, sauna and ice fountain, as well as a sun terrace, swimming pool, private jetties and a fitness room. The extensive leisure and entertainment programme include a choice of workshops and live music. The hotel is tailored to cater for various guest types, from those travelling with children, as well as couples or adventure lovers. Meticulous attention to detail in order to offer the very finest gastronomy is undoubtedly another of this hotel’s greatest strengths. For those with special dietary requirements, the hotel provides a choice of gluten or lactose free dishes, as well as menus for babies and many other options. The hotel’s prime location enables unforgettable experiences in the range of activities on offer such as boat trips to the city of Kotor or a cruise around the nearby islands. The wealth of history held within its walls together with the state-of-the-art renovation work make this the perfect spot for experiencing the magic of the past in a delightful setting with the full range of contemporary comforts.